Description : Chesspark was created by chess lovers to bring chess to a wide audience of casual, club, and professional players. 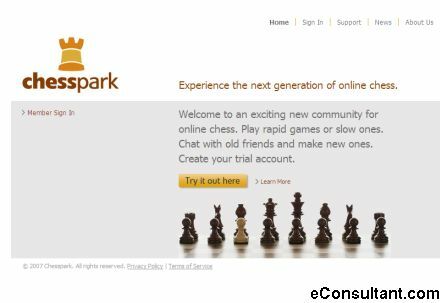 Chesspark modern and easy to use interface makes use of the latest technologies for the Web as well as Instant Messaging in order to make online chess accessible to everyone, not just the elite players. However, those elite players will find features at Chesspark that are available no where else and made just for them.